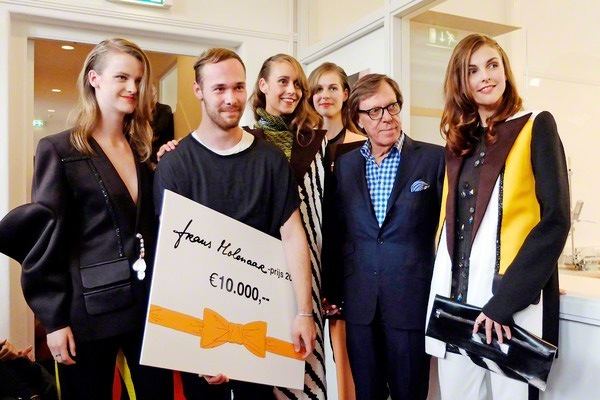 Designer Peet Dullaert is this year’s winner of the Frans Molenaar Award. His four looks out of a whole collection of thirteen designs wowed the judges and made him win the money price of 10.000 euro. We spoke him after he just heard the good news. 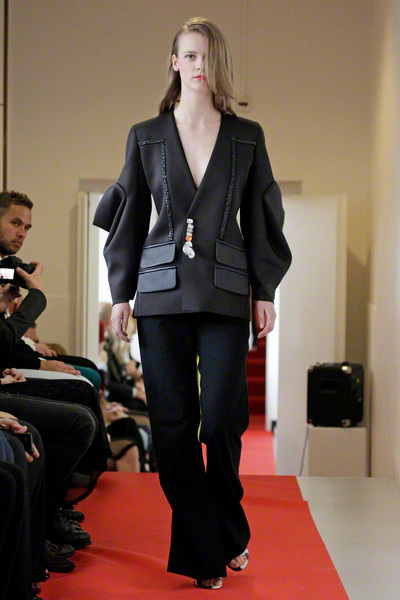 “I designed this collection inspired by my grandmother’s brooch. A brooch which she got from a friend of Queen Juliana and was actually inherited by Anna Paulowna Romanova. I was fascinated by the legend I heard of women using their jewelry in their corsets as a piece of luxury for themselves. 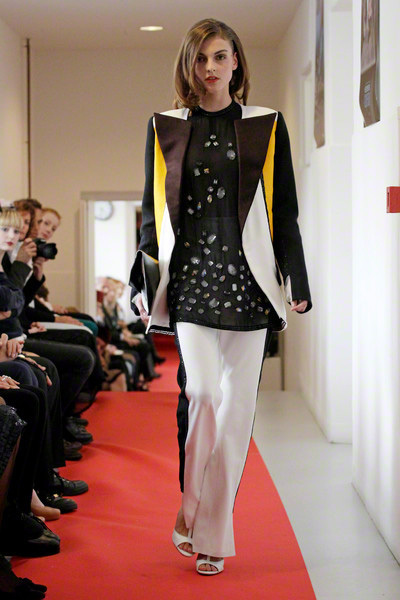 I wanted to create that kind of personal luxury and added a young and fresh way of tailoring”, Peet explains. During next year’s award show Peet has the opportunity to show his work again. “I’m so overexcited with this award. I’m going to use the money to start a label of my own and I’ll be working hard on next year’s collection”, adds Peet who, with tears of joy in his eyes, says he’s ready for a drink together with his model friends.